Nearest Airport: The nearest airport to Koh Lanta is Krabi Airport – there are daily flights from Bangkok to Krabi. Ferries: There are numerous ferries to Koh Lanta. Travel Time: 4 – 5 Hours. See how the Express Transfer and Minivan Transfer take different routes to Koh Lanta. All ferries arrive at Saladan in the north of the island. Krabi Airport is the nearest airport to Koh Lanta. There are numerous daily flights to Krabi Airport leaving from Bangkok, Chiang Mai, Singapore, Kuala Lumpur, Hong Kong, Penang and even longhaul connections from Europe. Compare Bangkok to Krabi flight times and prices on Skyscanner. THAI Airways and Bangkok Airways operate flights from Suvarnabhumi Airport (airport code: BKK) to Krabi (airport code: KBV). Air Asia, Nok Air and Lion Air operate flights from Don Mueang Airport (airport code: DMK) to Krabi (airport code: KBV). If you are arriving in Bangkok on an international flight before changing planes to fly from Bangkok to Krabi, make sure you know at which airport you will arrive. Transferring between airports can take up to 3 hours due to Bangkok’s bad traffic and so is not recommended. The Express Transfer is the fastest way to get your destination, combining a speedboat journey and minivan. Enjoy a private taxi transfer that’s just for you and your family. The taxi is one fixed price for 1 to 6 people and does not pick up any other passengers besides your group. 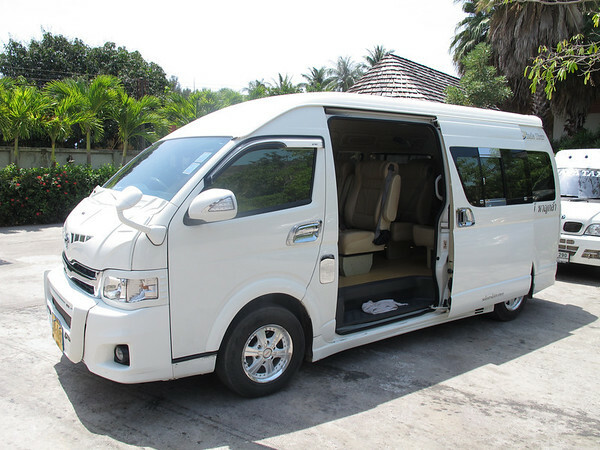 The cheapest option to get to Koh Lanta is to get a public shared minivan taxi at Krabi airport, which seats up to 10 people and departs from the airport when the taxi is full. Backpacks or suitcases are stored on top of the van and conditions can be very cramped. To catch a minivan taxi, we strongly recommend you get an early flight from Bangkok to Krabi as the last departure for minivan taxis from Krabi Airport is around 1pm. The journey time from Krabi Airport to Ban Saladan is between 2 to 3 hours. The time varies as there are car ferry crossings between the mainland and the islands. We recommend you bring water and snacks for the journey. 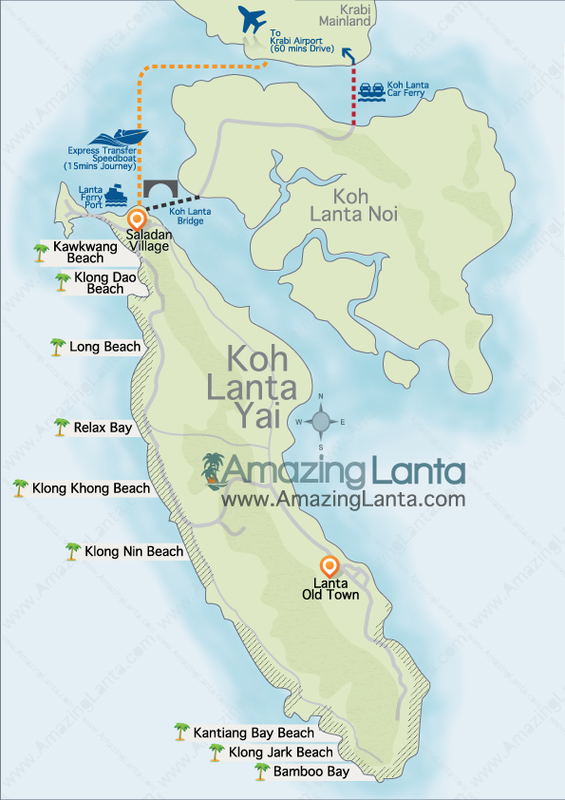 There are numerous ferries to Koh Lanta from destinations all along the coast of Thailand. It’s a great way to enjoy the ocean as long as you’re not in too much of a hurry. Book Your Koh Lanta Hotel And Flight Before Your Transfer! Before you make your transfer booking, you’ll need to have booked your Koh Lanta hotel and flight already. These details are needed during the transfer booking process. For hand-picked Koh Lanta hotel recommendations, see our Koh Lanta Hotels page.